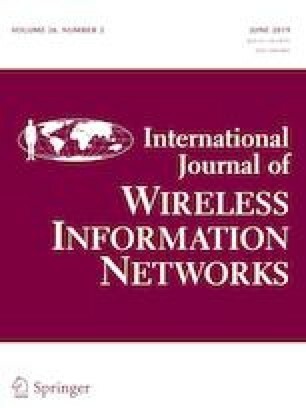 Wireless Sensor Network (WSN) is a network including allocated independence systems called sensor nodes, which are enabled for sensing or monitoring circumferential conditions. One of the main challenges in WSN is the battery lifetime and energy consumption of sensor nodes. Hence, in order to reduce energy consumption it is important to consider the energy consumption in a completely optimal way in WSNs. In this paper, we suggest an Energy-Efficient Fuzzy Logic Adaptive Clustering Hierarchy (MB-FLEACH), considering that the base station is Mobile. The innovation of our work is to intelligently select the cluster heads based on the mobility of the base station and its appearance probability in different locations. Thus, the selection of Cluster Head properly as supper cluster head node can reduce the energy consumption. In the proposed model, Mamdani’s fuzzy system is utilized with respect to the remaining energy, node centrality, mobility of base station and base station appearance probability as input variables. Our model was evaluated in two metrics of the lifetime for WSN in terms of Half Node Die and First Node Die and regarding energy consumption was conducted based on number of clusters and number of rounds. The simulation results using the OPNET simulator indicated in two scenarios that MB-FLEACH model was better than LEACH, LEACH-FL and CHEF models in the fields of lifetime and energy consumption for sensor nodes in the network.